• Located in current position for 21 years. • Wide and complimentary product range. 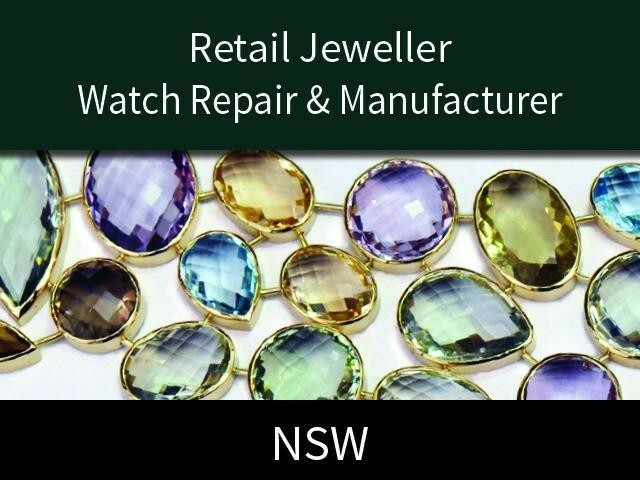 • Current owners are trained and qualified gemologists and jewellers. Established in 1997 this business has maintained a steady turnover over the years, moving with the times to introduce known and quality brands to its range of manufactured jewellery. The result has been a business that is trusted by it's clientele to provide quality product, with a personal style that caters to the needs of all age groups. This business has been ideally located for 21 years in the same location and attracts a regular local customer base along with returning overseas visitors. Moving with the times a cad system has been installed to promote the sales of manufactured items which enables buyers to step confidently into the option of commissioning bespoke items, which improves sales and assists the growth of the business in line with industry trends. This business is a true Walk In Walk Out opportunity that is ideal for a qualified individual or family seeking Australian residency on a Business Skills Visa. This Clothing/Accessories Business is one of 11 businesses for sale in Burwood, New South Wales, and one of 2 Clothing/Accessories Businesses in this region that a business for sale currently has on offer. This Clothing/Accessories Business is for sale in Burwood for the asking price of $280,000 + SAV and is new to the market.